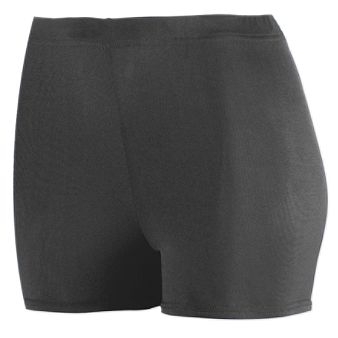 Augusta Spandex shorts are 2.5'' in length. 90% polyester and 10% spandex wicks moisture away from the body. These low rise spandex are comfortable and stylish.